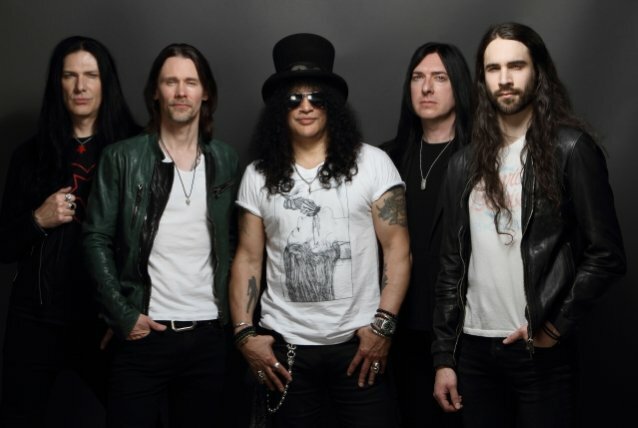 Slash and his solo band, MYLES KENNEDY & THE CONSPIRATORS, will be the musical guests on the Wednesday, September 12 episode of "Jimmy Kimmel Live!" The band will perform several songs on the show's outdoor stage in front of a standing-room-only crowd. 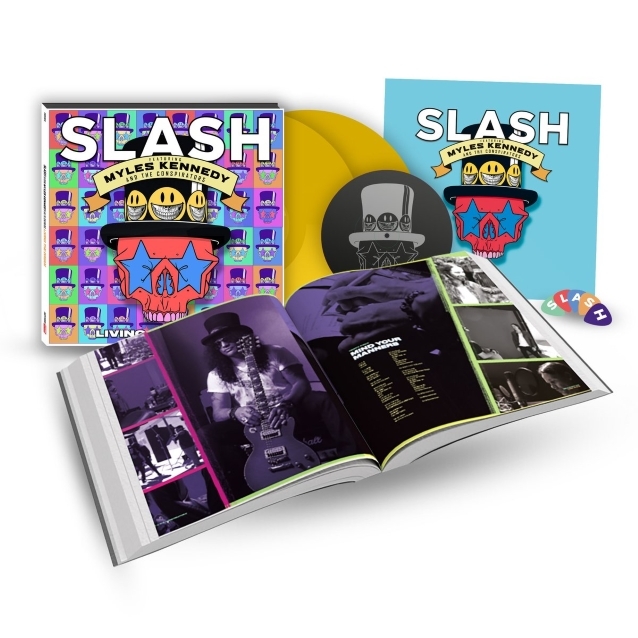 Slash's new album, "Living The Dream", will be released on September 21 via his own label Snakepit Records. 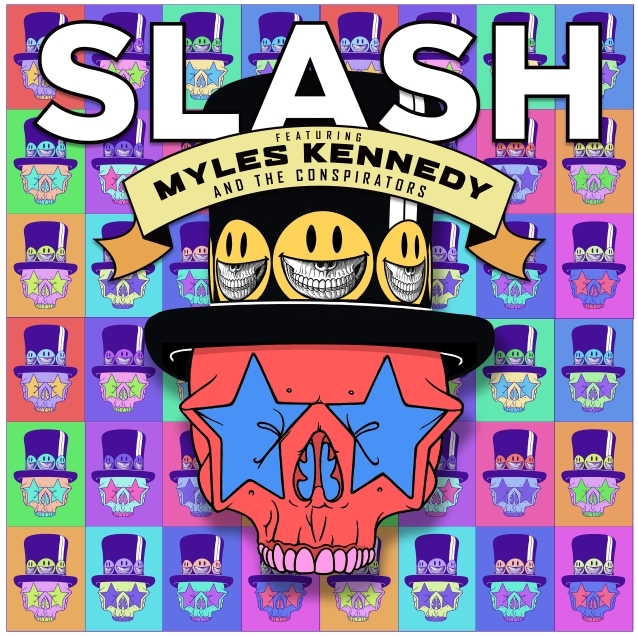 It is Slash's fourth solo album and third since putting together the CONSPIRATORS, which also features singer Myles Kennedy, drummer Brent Fitz, bassist Todd Kerns and guitarist Frank Sidoris. The group's North American headlining tour begins September 13 in Los Angeles, visiting 20 major cities before ending on October 14 in Sacramento. Slash told The Pulse Of Radio a while back that his partnership with Kennedy has been easy from the start. "We work really well together," he said. 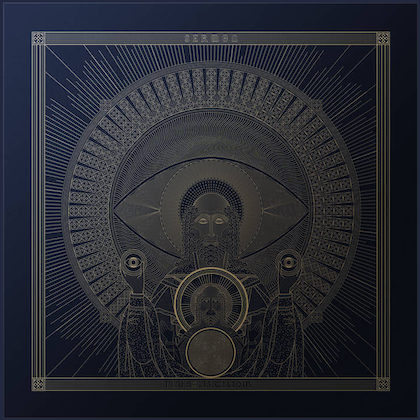 "I never really thought about how that's progressing. It's real natural. So it's like any kind of sort of close relationship, where I think we established it really, really early on and now we're just sort of doing our thing, you know. Yeah, I don't know what else to say — it's just a really cool kind of synergy that we've got."